Do you like Tasty Way? Share it with your friends. Tasty Way is a wonderful perception game in which you are prepared for twenty different levels of difficulty. 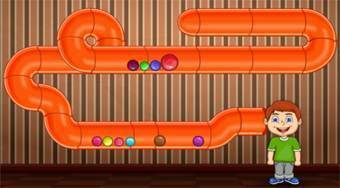 In each round, your task will be to get all colorful candies through the red ball through the orange pipelines to reach the mild young man in a green trick.